What Is a Reformation Church? 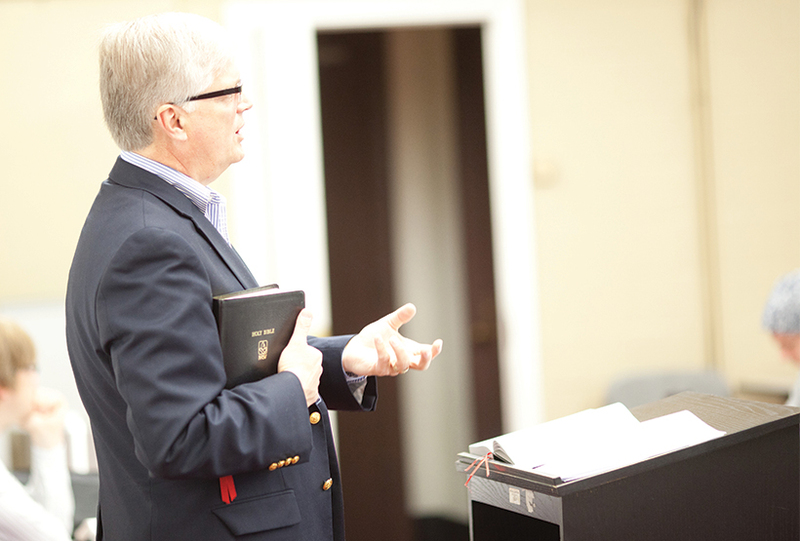 John E. Phelan Jr is a recently retired senior professor of theological studies at North Park Seminary. Last summer I worked my way through a massive biography of Thomas Cranmer, the archbishop of Canterbury during the reigns of Henry VIII, his ill-fated son Edward VI, and, briefly, Henry’s oldest daughter, Mary. He was one of the architects of the English Reformation and especially remembered for writing and compiling The Book of Common Prayer. For his pains he was burned at the stake by “Bloody” Mary, becoming one of the many Protestant martyrs of her reign. I wondered, as I read: what constitutes a Reformation church? What does it mean, particularly these days, to be Protestant? Although there were many differences between the various reformers and the movements they inspired, there were some commonalities. First, every reformer was willing to ask serious questions about church traditions. For the reformers the practices and theologies of the Catholic Church were encrusted with convictions grounded in neither Scripture nor reason. Purgatory, prayers to the saints, indulgences, priestly celibacy, and transubstantiation were re-examined and found wanting. We need the spirit of the old Pietists who sought unity around the love of Jesus and the Bible. This meant, second, that the reformers were willing to re-examine the Scriptures, to ask new questions of the text, and wrestle with new meanings. This was risky and challenging. In fact, some of the so-called “magisterial” reformers were alarmed when groups like the Anabaptists rejected infant baptism and dared to take the words of Jesus in the Sermon on the Mount seriously! You could be executed as a heretic as readily for being the wrong kind of Protestant as for being the wrong kind of Catholic. The sacraments of baptism and the Eucharist remained the most controversial doctrines and practices. The reformers’ failure to forge agreements on these crucial issues divides Protestantism to this day. Nevertheless, they came by their differences of opinion honestly. They were willing to ask the Bible new questions and to hear new and unexpected answers. The reformers could raise these questions because, third, they were not afraid to question traditional hierarchies. The popes, the various rulers of their respective states, even the fathers and mothers of the church had to give way before their reasoned reading of the word of God. It was no longer sufficient for popes, bishops, kings, and theologians to tell them what to believe. Those who attempted to enforce belief were seen as tyrants crushing the consciences of women and men. Many Protestants went into the flames or lost their heads on the chopping block for refusing to bow to hierarchy. Finally, the European reformers formed networks of study and reflection. They were willing to listen to each other. They exchanged letters and treatises. They met in conferences where they discussed key issues, like the sacraments. Sometimes they had violent disagreements. They were even willing to debate with their Roman Catholic opponents. They were not afraid of differences of opinion over important issues. Unfortunately, Protestants proved themselves every bit as willing to use violence against their enemies as the Catholics: “heretics” were burned in London and Geneva as well as in Paris and Rome. It took the Pietists in the seventeenth century to suggest that a bit of humility and compassion toward opponents would go a long way in preserving the unity and mission of the church. A Protestant church, as the saying goes, is “always reforming”; it is not afraid to ask new questions of its sacred texts. A Protestant church is leery of hierarchy and committed to hearing from the whole people of God. A Protestant church is not afraid of controversy but engages the culture, the text, and its critics with courage. A Protestant and Pietist church does all this in a spirit of humility, grace, compassion, and generosity. Today, in an increasingly divided and divisive Christian community we need in American evangelicalism the spirit of the old Pietists who sought unity around the love of Jesus and the Bible regardless of how one worshiped the one or understood the other. Thanks to Jay for getting us back to the basics of the Word as well as Protestant/Pietistic theology.